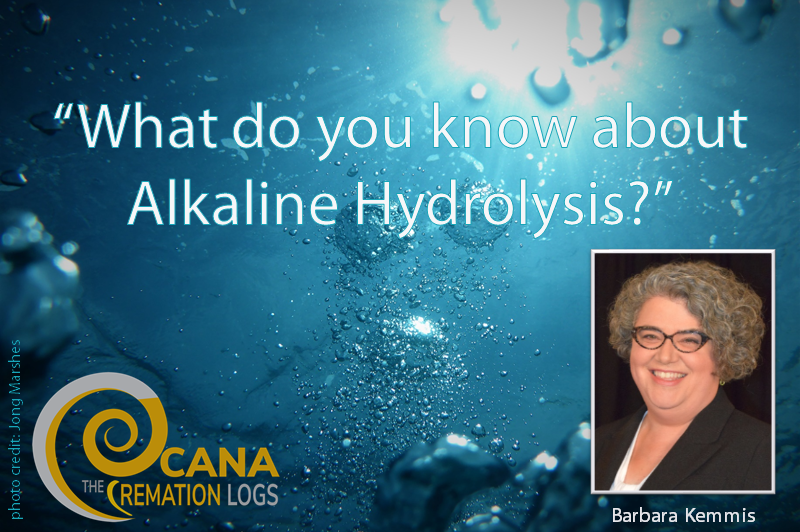 I had the pleasure of presenting for CANA in 2009, and the past ten years have seen changes across the business world. What’s new or different about leadership today? And what are the biggest challenges leaders face in their businesses and communities? Use of outdated time management thinking. The research is clear: multitasking is a myth – switching between two tasks can take up to 40% longer to complete both. Life balance doesn’t make sense either. It is about life design: devoting the right number of hours and energy to the most important things. It is time to reexamine outdated beliefs about time management and productivity. The ability to focus intently (“single-tasking”) on what is important should be at the top of your productivity list. And don’t feel guilty if your life isn’t balanced if it is well designed. When asked what I think is the biggest change in leadership, my answer is followers. Those we lead increasingly resist thinking of themselves as followers, and for good reason. This is a limiting term that poorly represents the relationship we need. Employees want to be (and deserve to be) thought of as contributors, colleagues and team members. The concept of “following” to those we lead is as negatively tinged as referring to those in customer service as “servile.” Unless you’re a religious guru, you are better served leading a team of contributors than a band of followers. Fear of the great unknown. No leader likes uncertainty but today the size and impact of the unknown can be more devastating than in the past. Nassim Nicholas Taleb wrote the definitive book about overconfidence in our ability to predict, anticipate and plan. He describes the improbable black swan: an unpredictable or unforeseen event, typically one with extreme consequences. Many leaders act as if black swans never happen, or can be avoided, but leadership is as much about taking action in the face of the unknown as it is gathering information to eliminate the unknown and mitigate consequences. No leader is clairvoyant, so he or she must accept the real limitations of knowledge about the future and act accordingly. A false dichotomy of ethics. Trying to separate personal ethics from professional ethics is a bad idea. There are just ethics, and trying to apply two different standards isn’t just confusing, it is wrong. Why would you trust someone at work that you know to be a conniving liar in his or her personal life? And why would you allow something that you know is wrong to happen at work? One psychologist calls it the normalization of deviance: making it acceptable to do at work what is wrong to do outside work. Leaders work hard to create what I conversely call the “normalization of integrity.” Without clearly defined values that are lived and observed by others, ethics slip dangerously. Not that long ago leaders often seemed to ignore generational differences. The pendulum has swung to another extreme. There seems to be a belief that everyone is so different we can’t effectively lead! Generations are different, and understanding those differences can provide effective tools for communication and collaborating better. At the same time people regardless of age share much in common: the need to belong to a winning team, meaning in their work, satisfaction in the jobs they do, and much more. Leaders must balance understanding and using differences and unifying their teams with shared interests and beliefs. It is as important as competing for talent, a common dilemma according to my clients. One of the biggest myths I encounter is the belief that if you just get the best people on your team, your job is done. John Wooden wisely noted that he didn’t want the best players on his team. He wanted the players that made his team best. That points to the importance of engagement and teamwork. Talent is a start, but it is never enough. Divisive star players and disengaged genius are both liabilities. Good leaders find the best people and then focus on keeping them engaged. Lack of preparation to successfully lead. My research shows that only one in four leaders feels prepared when they assume formal leadership positions. Leaders need to learn to lead before they get their marching orders, not after. And that isn’t accomplished just through books and coursework but through real world projects and assignments where leadership skills are developed. If you don’t give your team members a chance to lead before they become formal leaders, they will lack the skills and confidence to lead when they move into management. While speaking to a global technology company, I learned that their executives were more worried about innovation in business models than the impact of technology. A business model is the way a company makes money, and can be used defensively against competitors, to reinvigorate revenues in declining markets, or as a way of exploring new opportunities. Few business models are exempt from the need to be revisited and revised regularly. Business model innovation is increasing at lightning speed and may well be the single greatest high level business challenge leaders face. Want to talk leadership? CANA’s 2019 Cremation Symposium highlights business innovation tactics, maintaining your leadership edge, hiring well, and mentoring across generations. Mark won’t be joining us, but we have experts from across our profession to talk these issues and more. Join us next week in Las Vegas!. 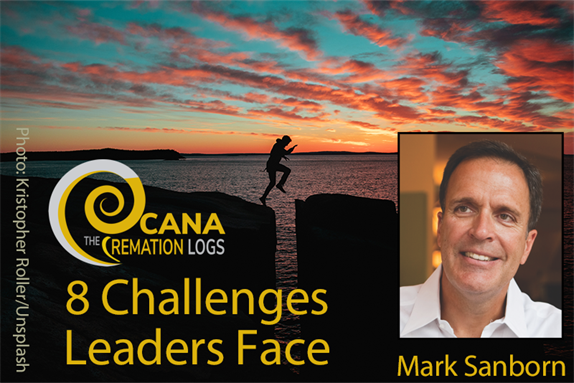 Excerpted from The Cremationist, Vol 52, Issue 4: “10 Challenges Leaders Face” by Mark Sanborn. 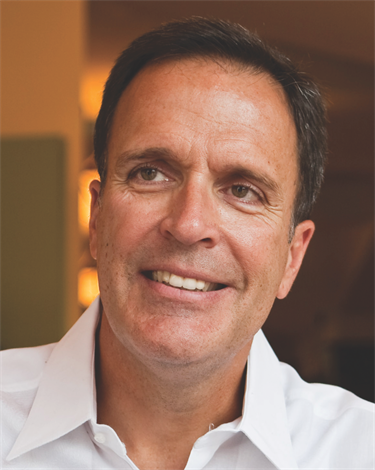 Mark Sanborn, CSP, CPAE is president of Sanborn & Associates, Inc., an idea studio for leadership development. He is an award-winning speaker, internationally recognized authority on leadership and the author of the bestselling books The Fred Factor and You Don’t Need a Title to be a Leader. To obtain additional information for improving yourself your business (including free resources), visit www.marksanborn.com. Superstar sellers, unreliable incomes, infighting amongst staff, confusing metrics… the list of problems in the world of preneed sales can be exhausting. The world of preneed is full of myths, misnomers, and fake news. These things can foster unrealistic expectations, or worse, can create significant barriers for managers responsible for their preneed programs and for regular folks seeking a meaningful career in funeral sales. No, these are not a new batch of curse words or hashtags, they are tools you can use to maximize your preneed potential. They may look intimidating, but they are easy-to-use formulas that allow you to use real data to drive real sales. But let’s digress for a moment. Most readers will have seen or heard of the movie Moneyball. The film dramatizes the real-world example of how, in 2002, the Oakland Athletics baseball team radically changed the traditional game of baseball by using statistics and mathematics (called sabermetrics) to scout and analyze players. What they realized was that traditional methods of scouting relied heavily on biased or incomplete information. This led other teams to overpay players in the hopes of buying success. In contrast, the Athletics adopted sabermetrics to build formulas using quantitative analysis of different player abilities. By building the right formulas, they were able to put the right pieces together to build success. This new method translated to on-field success; the newly-built Athletics tied the longest winning streak in American League history, and clinched the 2002 American League West title. Using statistics and mathematics, a successful preneed program can be developed to reliably predict success and take the mystery and magic out of the game of preneed. This should be the launching point for the development of a simple formula to accurately predict the number of contracts a program can produce annually. All managers responsible for preneed programs should have a reliable way to accurately measure the closing percentage of each of their counsellors. Further, they should know their closing percentage for every type of lead. For example, the closing percentage for call-in and walk-in business should be over 80% whereas the closing percentage for a more challenging lead, like direct mail, will be significantly lower. When developing your program, this metric can be used to strategically apply human resources to the appropriate lead source. When developing a preneed team, many people are overlooked for a variety of perceived reasons: they’re too quiet, they aren’t motivated, funeral directors aren’t good at sales, etc. However, it is unrealistic to expect that one person can bring all of the necessary traits or skills to develop a successful preneed program. 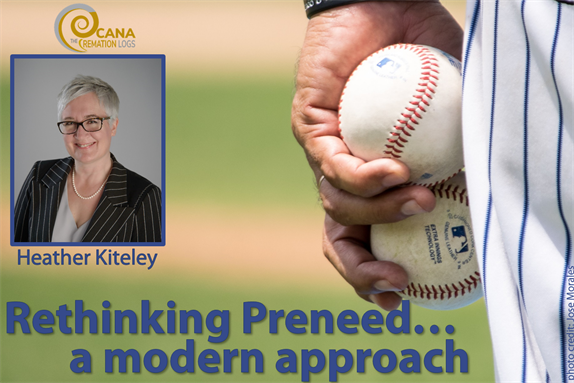 In the same way that the use of sabermetrics in Moneyball proved that a baseball team doesn’t need to have a superstar to win, the game of preneed doesn’t need to have a superstar seller to be successful. This means that if you have an 80% closing percentage and your goal is to sell 200 contracts, you need to book 250 appointments to meet your goal. Each organization will generate leads differently, but the best way to build leads is to diversify your lead sources. Consider incorporating direct mail campaigns, social media, referral programs, group seminars and presentations into your marketing mix. You can even apply Moneyball-style formulas to calculate how many leads you’re generating and where they’re coming from. Using these formulas, or designing your own, can reap huge benefits for your organization. Using a reliable and consistent approach will put an end to the “feast or famine” results that are often seen when working campaign to campaign. Year after year, your contracts and volume will stabilize and your success will become much more predictable. For more information on how “hacking your process” can improve your preneed business and help the families you serve, check out my session “The Art (and Science!) 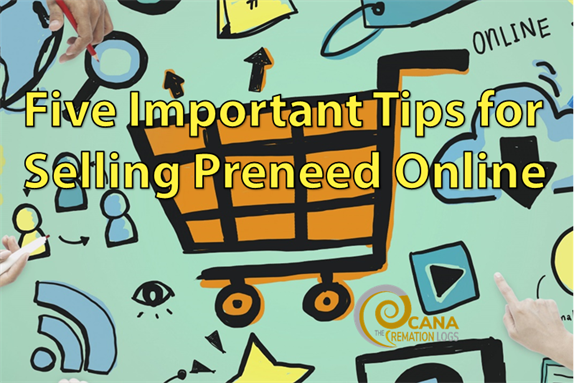 of Creating a Successful Preneed Program” at this year’s CANA Preneed Summit! Are you looking for more about creating a preneed strategy that makes a difference? The Art of Selling Cremation: A Preneed Summit is back for the second year to with a one-day intensive on today's pressing preneed topics. Join colleagues in Las Vegas on February 5th, 2019 – see the full schedule at www.cremationassociation.org/CANAheroes. 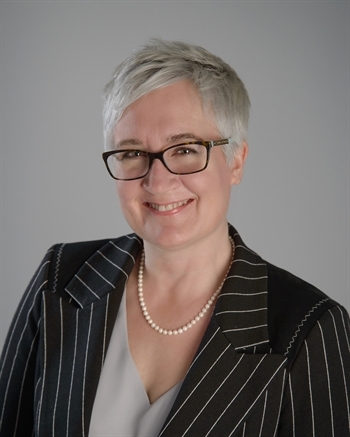 Heather Kiteley is the President of Guaranteed Funeral Deposits of Canada (GFD), bringing over 25 years of experience in the field to the largest organization for managing preneed funeral trust funds in Canada. 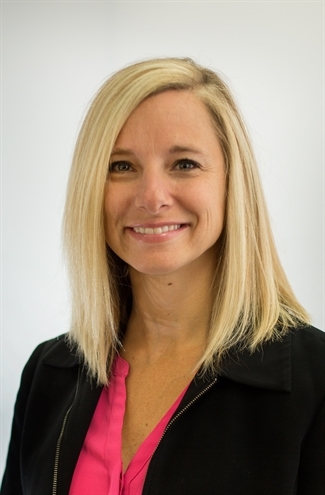 Heather blends her unique background and experience together with a skilled team of professionals at GFD to provide members with a trusted resource to help ensure their preneed programs succeed. In early 1913, Dr. Hugo Erichsen sent invitations to every crematory in existence, and even to some strong advocates who were not affiliated with crematories. An advertisement in Modern Cemetery Magazine “proposed to establish a national organization and discuss various questions of practical import relating to the best methods of advertising, management of crematoria, etc.” which became CANA. Erichsen’s invitation brought fourteen representatives from ten of the fifty-or-so crematories in operation at the time. Along the way, several established crematories added their names to the roster of the association and they too have given their continued support for cremation. We share seven stories of these earliest delegates, and current CANA members, below. 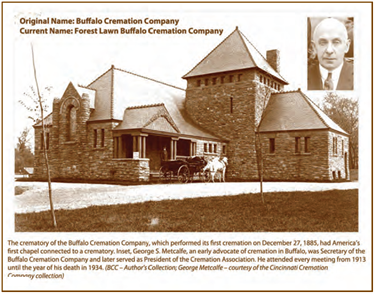 The Buffalo Cremation Company completed its “Crematory Temple” just after its first cremation took place on December 27, 1885. The engineer for the crematory came to the U.S. from Italy to oversee the construction. The temple was unlike any structure built in the U.S. at the time. In fact, it would be a couple more years before a complete cremation facility was completed at the Missouri Crematory at St. Louis. The delegate for the Buffalo Cremation Company was George Metcalfe. Endeared to many and known as “Uncle George,” Metcalfe was in attendance at all but one Cremation Association convention from its inception to his death in 1934. At present, the crematory is still in operation as the Forest Lawn Buffalo Cremation Company under Joseph Dispenza and his capable staff. 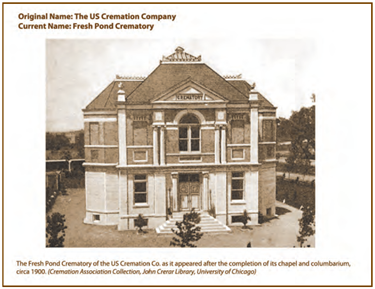 The US Cremation Company completed their more utilitarian structure housing only the cremation apparatus, and conducted their first cremation on December 4, 1885. Their membership in the association came after the first meeting, their delegate, William Berendsohn, serving as our third president from 1918-1920. The crematory is now operated as the Fresh Pond Crematory and is managed by memorialization advocate Joseph Di Troia, a second-generation operator. 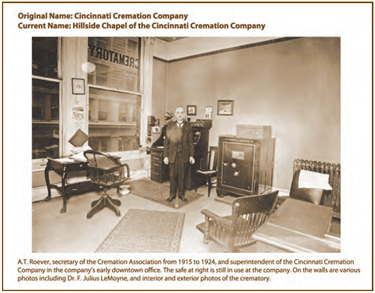 After the US Cremation Company and the Buffalo Cremation Company, the Cincinnati Cremation Company operates the third-oldest operating crematory in our country. The cremation furnace was completed and their first cremation took place June 22, 1887. Their chapel was added in 1888. Additionally, they sent a delegate to the first meeting of the Cremation Association, A.T. Roever, and, in 1915, he was elected Secretary – a post he held for almost a decade. Later, R. Herbert Heil operated the Cincinnati Cremation Company, and served as president of the Cremation Association from 1947-1949. Today, the Catchen family own and operate the crematory and columbarium as the Hillside Chapel of the Cincinnati Cremation Company. In Canada, the first crematory in operation was the Crematorium, Limited, operated on the grounds of the Mount Royal Cemetery in Montreal, Quebec. Construction on the crematory here was begun in 1900, and it completed its first cremation in 1901. Their delegate to the first Cremation Association meeting was W. Ormiston Roy, who was the first to confirm his attendance after Dr. Erichsen’s invitation to the 1913 meeting in Detroit. He served as our president from 1920-1922. Mount Royal Cemetery has now assumed control of Crematorium, Inc.’s operations, and it is still a sought-after and popular cremation services provider. In 1904, the leading Indianapolis undertaking firm Flanner & Buchanan decided their establishment was incomplete without the appropriate facilities for serving families who desired cremation. The nearest crematories were more than 100 miles away, and at least one of the active members of their ownership, Charles Buchanan, was a cremationist. At the time, their firm was one of just a handful of funeral directors that owned a crematory. They became active in the Cremation Association, Charles Buchanan being present at the first meeting, then serving as president from 1922-1925. Additionally, Frank Bates Flanner, while not an officer of the Cremation Association, made many presentations at conventions and wrote many informational pamphlets for better relations between funeral directors and crematories, which had been an antagonistic relationship even in those early days. While the original building and even the second building have long been razed, Flanner Buchanan is still thriving as a leading funeral services provider in Indianapolis and surrounding areas. Fresno’s Chapel of the Light, established in 1914 as the Fresno Crematory, was begun by a reform society of cremationists in their city. After struggling with their ability to successfully operate a crematory, the trustees of the crematory approached Lawrence Moore, operator of the California Crematorium in Oakland, to take over their operations. He purchased a majority of the stock and became the owner in 1919. On what was to be a brief assignment, Moore sent one of his employees, Herbert Hargrave, to operate the facility. He ended up staying in Fresno and quickly became involved in the Cremation Association. In 1925, he was elected Secretary and maintained that position until his retirement in 1979, with the exception of a two-year term as president from 1935-1937. He operated the Chapel of the Light from his initial assignment there until his death in 1981. 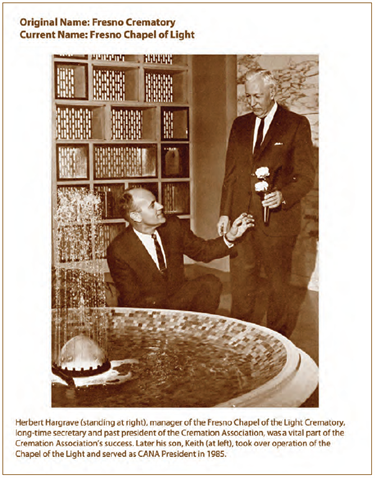 Herbert Hargrave’s son, Keith, worked with his father at the Chapel of the Light, serving his Cremation Association presidency from 1985-1986. He became involved in the crematory’s operations in 1955, assuming management responsibilities at his father’s retirement. He served as General Manager throughout acquisitions and the selling of the firm and was a mainstay in the company until his death in 2014. The second crematory constructed in St. Louis was completed in 1919 by the St. Louis Mausoleum and Crematory Company, a division of the National Securities Company in St. Louis, and on the grounds of the Valhalla Cemetery on St. Charles Rock Road. 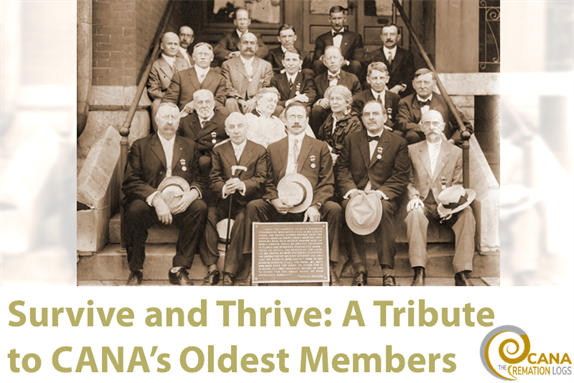 Their involvement in the Cremation Association was begun by Robert J. Guthrie, who served as treasurer of the Association from 1925-1932 when he was elected president. Just two years later his death ushered in a new branch of his family. Having no children of his own, Guthrie left the operations of the Valhalla Chapel to his niece’s husband, Mr. Clifford F. Zell, Sr. The Zell family have been some of the most influential cremationists in American history. Their facility in St. Louis was a blending of the east and west coast ideas of cremation and inurnment. 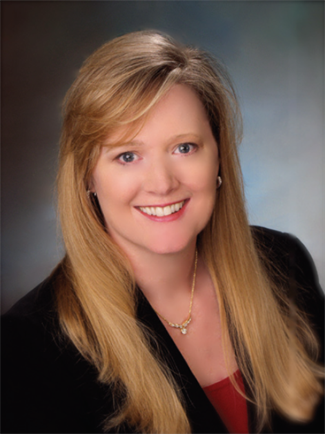 In addition to Mr. Guthrie, their family produced three past-presidents of the Cremation Association, Cliff Zell, Sr., Cliff Zell, Jr., and the first-ever female president of any funeral service or cemetery organization, Genevieve “Jinger” Zell, wife of Cliff Zell, Jr. Valhalla is still under the operation of the Zell family. It would take pages upon pages to list the crematories in the country and their respective individuals that have been active in our Association since our beginning in 1913. 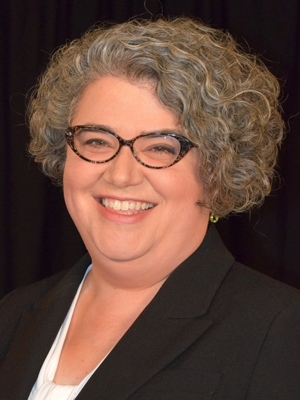 Suffice it to say that all have served in countless capacities—from leading the association as officers and board members to faithfully paying dues each year—and each have contributed in their own ways to the growth and success of our association and of the cremation movement in North America. Past, present, and future, our association’s membership continues to be the guiding force of cremation in America. This post is excerpted from an article of the same name originally published in The Cremationist Volume 52, Issue 1. Since then, we’ve celebrated our 100th Convention, our 105th Anniversary, and the opening of the first History of Cremation Exhibit at the National Museum of Funeral History. It’s been a busy two years and we’re grateful for the continued leadership and support of our members both old and new. Thank you for all you do for the association, the profession, and your communities – it just wouldn’t be the same without you. Financial or artifact contributions are what make the History of Cremation Exhibit possible. Please consider donating to the History of Cremation Exhibit today.